Writing a review of Burt Goldman’s Quantum Jumping program is really a great pleasure for me ..Why?- Because it is something which is not just about achieving various goals or getting a certain life like the usual self help programs I write about, it is based on a premise that makes a person to think beyond the normal limitations and it makes one to question the reality of the world that one sees with his eyes. 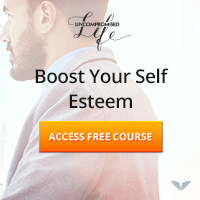 This program is not any kind of catchy package that promises you miraculous results based on unreal concepts, it comes from Burt’s 59 years of study about the human mind. Burt Goldman, who has crossed 80s now is also often referred as the American monk. He has been in guidance of various monks which includes even Paramahansa Yogananda. So, from the experience and history of Burt we can infer that a person who purchases Quantum Jumping is going to get a lot more than his expectation. 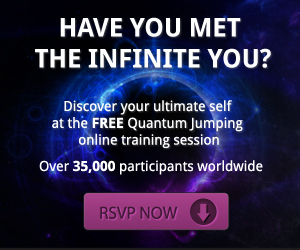 What is Quantum Jumping All About? Now, this could be a bit hard for you to swallow, but according to the concepts of quantum physics-Parallel universes exists. It says that we are entering into a universe every moment with the decisions we make and a parallel universe based on our not making of those specific decisions is also created at the same time where a version of “us” in that world exists.. head spinning isn’t it? Well, we all are aware of the experiment that showed us that an atomic particle can exist simultaneously at two different places- this can question the existence of everything that we perceive using our physical senses. Even though I can only comprehend all this just a little, I agree to the fact completely that we can be completely sure of just one thing-Our Consciousness.. So, based on this concept that says that multiple universes exists and with his great experience in spirituality and power of human mind , Burt has devised a method to tap into the deeper level of human mind to tap into the information that our alternative versions would be holding in some other universe. In simple terms- you will be getting the techniques to get the information from your subconscious mind in order to make changes in your life. Have you read Napolean Hill’s Think and Grow Rich? Remember he talks about his imaginary member of council where he got inspirations?, He also said that the dream figure of Abrahan Lincon (which seemed a very real like dream) pushed him to take action on publishing the book. 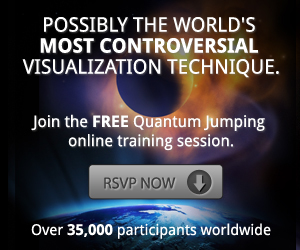 I have used that particular imagination technique many times to get awesome ideas earlier, Quantum Jumping is very similar, but advanced and much effective process that can literally bring awesome inspirations from the vast bank of your subconscious mind if you commit yourself to learn from the program. 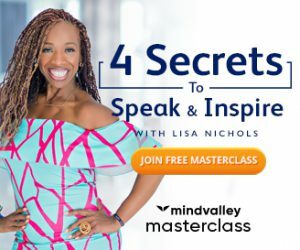 You may also want to check out the post where I have talked about the ways using which you can enhance your creative visualization sessions. I hope you liked reading this post, I would be happy to hear from you so, please do leave your comment in the box below before leaving.